So here we are, right at the very end of 2016 and what a year it has been! 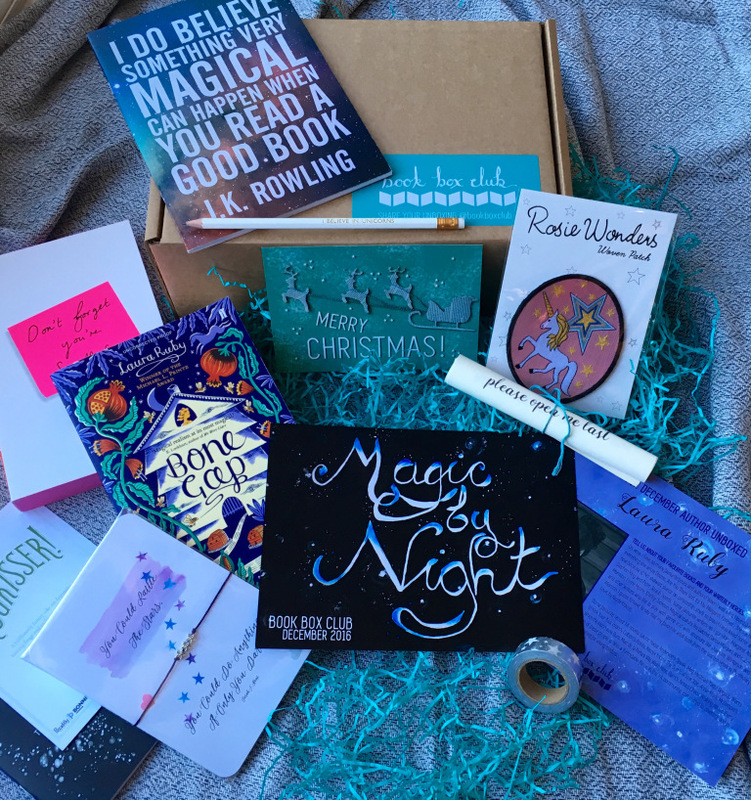 We have had an absolute blast sending our first four boxes: we’ve been lucky enough to work alongside the loveliest authors and craftspeople and we’ve made so many new bookish friends. We are super excited to get started on what promises to be an unashamedly bookish 2017. * Bookish Goodies: Some bonus reading material in the form of The Memory Book by Lara Avery, plus a chapter sampler and postcard. With thanks to our friends at Quercus, Usborne and Hot Key Books for these special extras. This box was a real pleasure to put together, finding all of these lovely items felt like we were Christmas shopping for all of our most bookish friends, PLUS we got to work with some wonderfully talented and super friendly people who made curating this box so much fun. Bone Gap is a really memorable book, I have been thinking about some of the vividly drawn scenes ever since I put it down and Kate and I can’t wait to chat with you all and with Laura Ruby in 2017 at our members-only Clubhouse meeting. Do keep all of your unboxing pictures coming and remember to tag us in them, we’d hate to miss them. Happy New Year, everybody and here’s to a very bookish 2017!